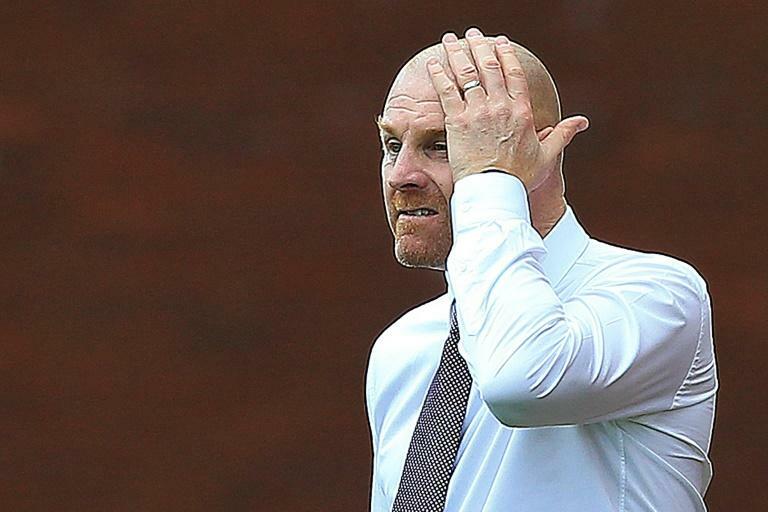 Playing in their first European campaign in half a century, Burnley ran out of juice Thursday as they bowed out in their Europa League qualifier against Olympiakos while Rangers and Celtic both advanced. The Greeks had given Sean Dyche's men a steep hill to climb after winning 3-1 on home soil and the visitors dug in at Turf Moor to hold the Clarets to a 1-1 draw for a 4-2 aggregate success. Daniel Podence lashed the Greeks ahead with seven minutes remaining. And though Matej Vydra poked home to level shortly after the restart that was as good as it got for Burnley, whose focus reverts sharply to the Premier League. "We dominated the game and dominated chances. The biggest bug bear is you've got to take your chances," said Dyche, vowing to learn from the experience. In the crowd rather than at the Champions League draw in Monaco, which saw his side handed meetings with Juventus for a reunion with his former Real Madrid charge Cristiano Ronaldo, was Manchester United boss Jose Mourinho. Mourinho was busy scouting this weekend's opponents as he seeks to galvanise his side after two losses in three league games. Rangers, managed by former Champions League winner Sveven Gerrard, enjoyed better fortunes among the British contingent advancing 2-1 on aggregate after holding Russian side FC Ufa to a 1-1 away draw despite ending the contest with nine men. Liverpool loanee Ovie Ejaria scored for the Glaswegians, who lost Alfredo Morelos and Jon Flanagan to dismissals either side of the break. Dmitri Sysuev netted the Russian consolation as Gerrard's Gers won through to the European group stage games for the first time in eight seasons, a perfect platform for Sunday's Old Firm meeting with Celtic. "I think tonight we became a team ... 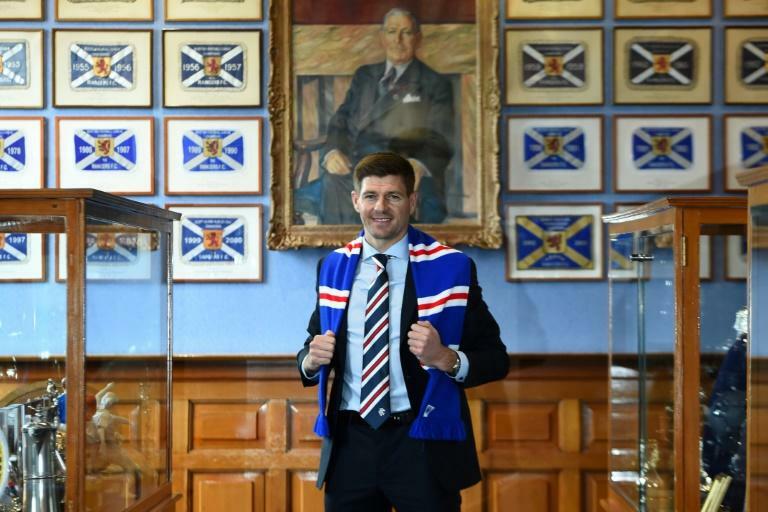 I feel like we have achieved something together," a satisfied Gerrard told Rangers TV. Celtic themselves also eased through a decade on from both Glasgow clubs competing on the Champions League stage -- in their case with something to spare as the Bhoys saw off Lithuania's Suduva 3-0 at home. Goals from Leigh Griffiths, Callum McGregor and Kristoffer Ajer gave Celtic a 4-1 aggregate win. Elsewhere, Dudelange of Luxembourg scored an upset win over Romania's Cluj, advancing 5-2 on aggregate after knocking their rivals over home and away. Dudelange had already caused a stir when, after first seeing off Kosovo's FC Drita, they shunted out Poland's Legia Warsaw. Once again, Eastern European climes appeared to agree with them with Danel Sinani's early second half brace proving key as the Luxembourgers became the first team from their country ever to make it as far as the group stage. In other games, FC Basel, who have made several forays into the Champions League, slid out on away goals to Apollon Limassol of Cyprus after the latter won 1-0 at home having succumbed 3-2 away. Red Bull Leipzig crept past Zorya Luhanskof Ukraine 3-2 in German after a goalless first leg and Russia's Zenith St Petersburg beatNorway's Molde 4-3 on aggregate despite losing 2-1 away. Five-time winners Sevilla made into the hat at the expense of Sigma Olomouc, who they beat 1-0 away and then 3-0 at home. Friday's group draw is being held in Monaco from 1000 GMT and the likes of Dudelange will be hoping for their day in the spotlight against favourites including the well-heeled likes of English pair Arsenal and Chelsea, or even AC Milan.